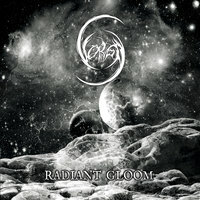 German Black Metal band VORGA formed in 2016 and has one release available currently; the EP "Radiant Glory," released in February of this year. It's quite brief with regard to the tracks to discuss. "The Black Age," starts out fast and aggressive, as any good Black Metal song should. It features a great deal of brutal guitar riffs, hyper-speed drums and a solid bass-line that will get your attention immediately; the vocals are equally good, venomous and sinister in just the right way. But… it reminds me a lot of music by another band that I reviewed for a different publication recently; LETHERIA, a Finnish Black Metal band that is slowly starting to gain attention, too. It's not to say that "The Black Age" isn't good; it is. It's just not very original. "Argil," by contrast, is a far better song. It's melodic, but still heavy with a lot of bass as well as an underlying guitar track that adds so much to the whole piece, rounding it out in a way that is subtle, yet important. The vocals were more to my liking as well, brutal and commanding without being overbearing or annoying. I did find the song's bridge to be a bit long, but it didn't take away from it too much. It is still one of the better songs on the EP. "Divine" is faster-paced, much like the opening track. It's a well-executed song, precise and machine-like. While it possesses all of the qualities required for any great Black Metal composition once again the problem is it lacks originality. I have heard other songs like it before recently; the album by DODSFALL that I reviewed not that long ago comes to mind. No, I don't expect VORGA to come up with something that's never been heard before. That is asking a lot of any band, especially one that is still fairly new. My complaint relates to the feeling that the band could be so much more if they simply tried a little harder to find their own style to imprint on the genre. They obviously have the talent. I believe they're still hesitant to trust their instincts and simply go for it,throw caution to the wind; it's okay, guys, really, your fans will appreciate it. While I won't say I was overwhelmingly impressed with "Radiant Glory," I wasn't completely put off by it, either. It has its' good qualities as well as its' not-so-good qualities. If you're a fan of Black Metal that is basic and to-the-point then you should add the EP to your collection.